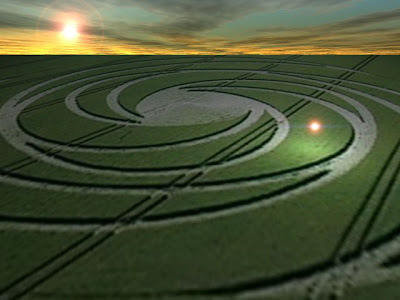 Freddy Silva is one of the world’s leading experts on crop circles and sacred sites, and a leading researcher into the interaction between temples and consciousness. He is the best-selling author of Secrets in the Fields and Director of the documentaries "Templemaking", “Stairways To Heaven: The Practical Magic Of Sacred Space”, and "In The Footsteps Of Isis". He is a life-long student of Earth Mysteries and ancient systems of knowledge, and lectures internationally. He has made keynote presentations at the International Science and Consciousness Conference, and the International Society For The Study Of Subtle Energies & Energy Medicine, in addition to appearances on The History Channel, Discovery Channel, BBC, numerous video documentaries, and international radio shows. In ancient times, specific harmonics were coded into the fabric of temples and other sacred sites. These involved the strategic use of magnetism, sacred geometry and measure, even water. But what science is now discovering is that these sites retain certain energetic fingerprints, and such information can be transferred to people who interact with them. What were these harmonics? How are they coding the water, the human mind and its state of awareness? 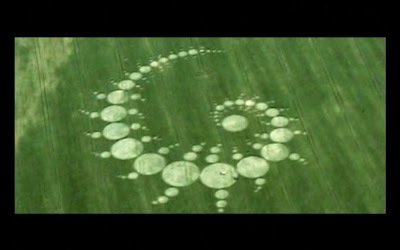 Why have such principles now been proved inside genuine crop circles? And how is this ‘technology’ being applied in remote healing and radionic therapies? With breathtaking sites filmed across the British Isles, you will be led on a 8000-year journey into a practical magic whose principles are alive – a legacy for our times, when all systems of understanding, structure and environment lie in a state of transformation and upheaval. You will also discover how, with the appearance of crop circles, this ancient information is once again coming to light – information that is imprinting all living things on Earth. Including the human body !